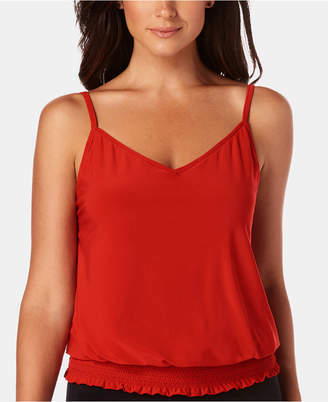 Show your wild side in this top equipped with built-in support and an asymmetrical hem. V-neck. Removable soft cups and underwire support. Racerback. 95% polyester, 5% spandex. Hand wash. Imported. Online Exclusive. By Magicsuit.